I've seen posts referring to using the san disk extreme III 8 gb class 6, san disk ultra II 8gb, & the PNY class 4 16 gb. Doug stated "I like the Lexar and Panasonic cards best. Be sure to get a class 6 or better card. The sweet spot is 16 gigs right now, more than enough to do the job. " I'll be going to cd so I'll probably be using 16/44.1 or 24/48 so I should get @ least 8 hours for a 16gb card and 4 hours for a 8gb card right? Any other suggestions for using w/my OCM PMD 661? I'll be using it for the first time(s) for p-groove in Fl. from 6/16 - 6/19. Since I am recording for multiple shows am I better off w/16 gb? If so do I not want to reformat for each show (lose files/data)? I saw a post that Sam's club has Toshiba 16 gb cards (used w/r-9) to pick up locally - anyone try them w/pmd 661? Where would you suggest to buy them from? Newegg is great, but I've found Amazon to be cheaper more and more often these days, and shipping is always free over $25. The problem with Amazon is that it's nowhere near as good as Newegg at FINDING products. So I use Newegg to narrow down my choices, check the reviews, and identify a model number and then search for that exact model at Amazon. 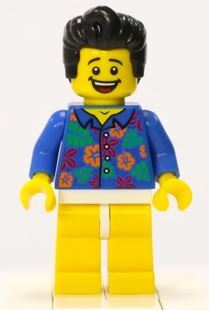 I'd also check out www.chiefvalue.com. They are a subsiderary of Newegg. Watch for free shipping deals. NOw to figure out what choice I will make for external power. My bad! Sorry to interupt! The Class 10 cards are waaaaaayyyyy overkill. I have never had an issue with my Sandisk cards or my PNY card. I got a 16gig card on Amazon,20$ works great. I'm using the same batteries with good success. Does anyone know what Class the Marantz 2GB SD card that the units comes with is? I just ordered a 16GB Transcend Class 10 SDHC card from Amazon for about $28, well see how that ends up working out. I also have a Kingston 16GB Class 4 SDHC card that I was hoping to use. Perhaps Ill be sticking to the Class 10 and leaving the 4 in my Canon S95 point and shoot. I don't know if it was a manufacturing quality control issue or a Class 10 sdhc issue in my case. I returned the Class 10 sdhc for a full refund and I will NOT be purchasing another Class 10 in the forseeable future. Please let us know if the class 10 card that you purchased performs without any issues. The Class 10 cards are waaaaaayyyyy overkill. For Digital stereo recorders Class 4 Cards should be enough ... higher classes are maybe reasonable for simultaneous recording in 4 or more channels @ 24/96. I encounter problems with class 4 transcend 16Go SD. i can even feel how slow it is when i use it on my camera, takes much time to write pics on the sd than others (old unclassified) sd. Hopping it's my bad luck, but i won't buy under class6. 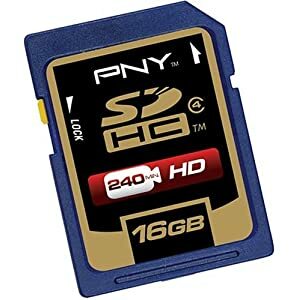 The PNY 16 GB Flash Memory Card P-SDHC16G4-AZ I mentioned before is a class 4. I've got 4 of them and had no problems with any of them in the PMD661. Some SD cards are produced in different charges. On some shops (amazon) or speciallized shops for computer equipment you can find sometimes differenent listing of a card with all the same specs, but different production charges. Choose that one with the better reputation. I pull stereo recordings in very good class 4 or even class 2 cards in 24/48 with no problems. And always format the card in the machine you want to record with. FWIW the Transcend Class 10 16GB SDHC card I bought works great so far. Havent had a problem yet in about 30 minutes of record/play time. To check your PMD661's F/W version, please follow the steps below. With the PMD661 in STOP mode, press the MENU button. At this time, the menu list is displayed in the display section. Press the PITCH+ or PITCH- buttons until the "F/W Version" Item is highlighted. Press the ENTER button to display the units current F/W version. If the version displayed on the PMD661 doesn’t match the latest version numbers posted above, please download the new version by clicking here and reading the installation instructions within the download. Since I'm not having any card problems myself I'll be waiting to install the update at least until sometime next month after my current run of shows is over. Don't want to risk introducing a problem. Thanks for the firmware link. I'll be waiting a few days before I give it a try too. Page created in 0.305 seconds with 49 queries.